First time coming to LifeStone? We're excited to meet you! Every Sunday, we like to say "You've already made the best decision of your week by being here", so come join us this week! 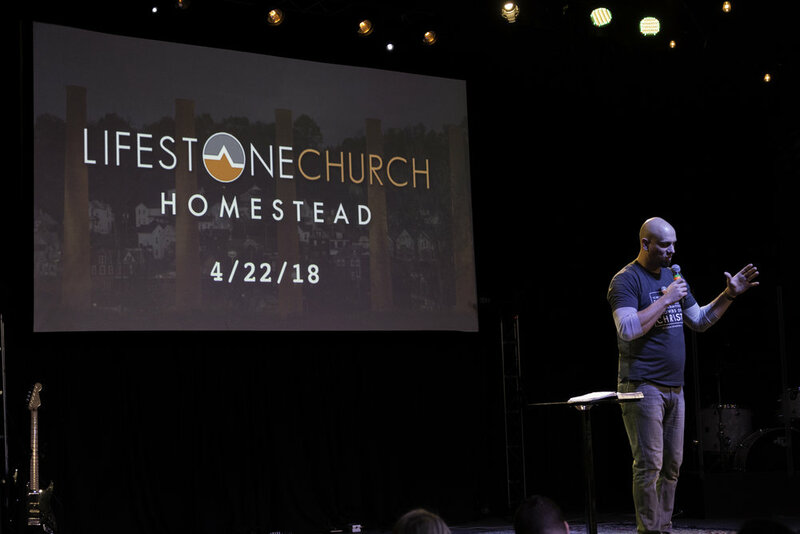 We have Sunday services at 10 & 11:30 a.m. at our South Side Campus and 10 a.m. at our Homestead Campus. Schedule a visit and we'll make sure to help you feel at home the second you walk in the door. When you walk in the church's main entrance, you will see a large sign that says "New Here? I can help!" Stop by and let us know you are here! We will be waiting for you and would love to show you around, tell you more about LifeStone and check your kids into Kidzburgh! What date will you be visiting? Do you have any children ages 12 and under? If so, we will help you check them in at Kidzburgh! Any other info you want us to know? We are so excited to meet you! Stop by our "New Here?" sign in the lobby on Sunday morning to let us know you're here! Sundays at 10 & 11:30 a.m.